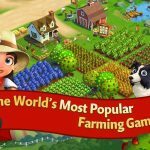 The original farm management mega-hit is back, as Zynga has just released FarmVille: Tropic Escape for Android and iOS devices alike. 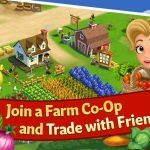 As the title suggests, you won’t be building an ordinary farm and growing the usual crops, but rather a beachside inn/farm that has its own workshops, crops and animals. You can grow a number of crops including pineapples, coconuts, and mangos, catch fish with the help of Capri the dolphin, and use the stuff on your farm to make recipes and create “rare” goods such as pina coladas, grilled fish, and flower leis. There are also story-based quests in this game, and many uncharted areas that you will want to explore as you get familiar with your tropical farm. 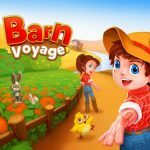 If you’ve played a FarmVille title in the past, you may have a general idea of what to do and what not to do in this game, despite the unique setting. However, even FarmVille veterans will need something to talk them through the twists in this game, as this isn’t your average FarmVille game. 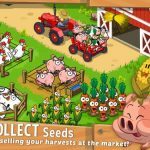 So read on, as we present to you our FarmVille: Tropic Escape strategy guide, which is packed with general tips for players of all experience levels. First-timers to the franchise might be shocked at the sheer volume of things to do in your new surroundings. But at the end of the day, the most important thing you should do is farm, and you should start out by planting crops which you can harvest at a later time. While you will start out with just a tiny piece of land which you can plant on, it’s better than nothing, so you’ll want to get busy planting some pineapples. After you’ve gotten enough, you can turn them into smoothies at the Tiki Bar, allowing you to be productive even if you’ve just started playing the game. All actions in FarmVille: Tropic Escape have timers associated with them, so you should make sure you’re always doing something. For example, you can pick up coconuts and go fishing while you’re working the Tiki Bar and making more smoothies. But in general, it’s important that all of the buildings on the island and all of your helpers are busy with one task or another. As you have a fairly sizable storage unit to begin with, you don’t need to worry about not having enough space for everything. 3. What Do You Do When You’re Out Of Storage Space? If your silo isn’t able to fit any more resources, that’s when you can move on to guest orders, which are a key feature of FarmVille: Tropic Escape. Guest orders may be optional, but they are very much recommended. This would involve sending orders of a specific item off via boat, which will get you experience points and money in return. So if you’ve got too much of anything inside that silo/storage unit, you can see if someone has an order, then conduct the trade so you can earn some extra money. 4. Why Are Quests More Important Than Guest Orders? Although guest orders are a recommended way of freeing up storage space, you should prioritize your quests over those guest orders. Quests, for one, will give you more XP, and will allow you to push forward in the storyline while earning some nice freebies as you complete more of them. In terms of their nature, quests and guest orders are very similar to each other, so you shouldn’t have much of a problem fulfilling quests just as you do guest orders. Some of them, in fact, may be very easy and may not require any effort at all from your end. These would be the ones where you have to watch videos in exchange for gems, with the exchange rate at one gem per video. Yes, it could be a long, arduous process to accumulate premium currency at one unit per ad video, but those gems will add up over time. Speaking of gems, these are much harder to come by than the regular currency, and as we explained in the tip above, all you’ll get per ad video is one measly gem. That means you should NOT use them for the wrong things, such as speeding up timers or skipping them altogether. Be patient, let the tasks complete on their own, and remember that there are so many things you can use your gems for instead, such as adding new slots when lining up tasks for your buildings. As everyone needs to get some sleep and you can’t be expected to play the game in every waking hour, having additional slots for tasks is always a good thing. Apart from the story quests, there are also some daily quests which you can complete. These are harder to accomplish than the story quests, but with the additional difficulty comes more and better rewards. You don’t need to take them on right away, though, as you can simply establish your farm and wait until the time is right for you to take on these greater challenges. When working the Tiki Bar, it’s more than just serving up pineapple smoothies to your customers. Once they’ve bought one from you, it is possible to send them to the Coral Reef, where they can go snorkeling. That’s going to allow them to pick up more freebies while underwater, and getting freebies in this game is always good, particularly if the freebies in question are crabs. The Coral Reef is the only place within the game where you can collect crabs. You’ll need crabs to help you complete some of the quests in the game, so keep sending people off to the Coral Reef and you’ll be rewarded. While you shouldn’t be overly reliant on the trade boat, you should make use of it from time to time. This boat allows you to exchange your overage in supplies for a profit, and the good thing about it is that you can set the price yourself, thus making everything on you when it comes to earning profit via trade. It’s also possible to buy items which you are short on while using the boat, so things do work both ways when talking about the trade boat and how it can help you. And this wraps up our list of tips and tricks for FarmVille: Tropic Escape. If you know more tips for the game, feel free to let us know in the comment section! How do guest buy drinks from tiki bar? What is the icon that looks like a sun. And how do you use them thank you. The suns are sunshine and you use them to instantly collect crops you plant. Need sugarcane but can’t wait the 15 minutes? Plant the sugarcane then tap it and there’s a sun icon. Click that and then you can instantly get the 2 sugarcane yield. Mij game is loading a boost for almost 10 hours now. I had that and 4 other booste approved and confirmed and all of a sudden this pop up screen appeard. I can’t play and couldn’t use therefor any of the boosts. I also play for the topresort tournament and i’m always in the tp 3 and several times on the first place! That’s in dag er now too cos i can’t play! It’s continuesly loading that last boost however it was already approved! What can i do? Help me please! what are Social Boosts ? I have a Daily Quest for doing 2 Social Boosts but all the boost I have activated have not counted for the Daily. I also want to know what social boosts are and where do I get them for my daily quest. Tired of wasting gems to finish the task. Ditto here, just cannot figure them out with such short time limits, im[ossible.